If you're thinking about fitting some new insulation to your home, one of the biggest considerations is often the costs involved. The costs you encounter can vary dramatically. Attempting to tackle installation yourself can mean savings here and there, but with DIY there is always the risk of doing things wrong. In contrast some of the most costly insulation services will involve auditing removal, installation and finishing all in one go. Here are few ideas to help keep activities within budget. One of the factors that drive up the cost of full wall insulation is the effort of having to effectively open the wall to then seal it up again so that it's perfectly back to normal. If you have old walls that need rebuilding. One handy way of saving can be to insulate your walls at the same time that you have them rebuilt. You effectively save money by tackling two similar home improvement projects at the same time. The same principle can apply to external insulation. If you're having work done to your roofing, or the walls on higher flaws, you'll already have scaffolding built. Taking advantage by using the scaffolding for two projects can prove far more economically efficient than on two separate occasions. Some forms of insulation actually provide the benefit of strengthening structures. External insulation for example can involve using a resin that fills the gaps and weaknesses in brick work before setting. As it sets to become rock hard, the wall is effectively solidified. If you have walls that need repair, it may be possible to apply external insulation that will also fix them up to a good working standard. 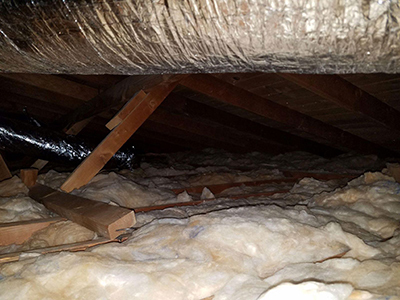 If you want insulation applied in the attic but are worried about the higher costs of insulating your entire roof and loft walls, it might be suitable to just have a cold loft. A cold loft means you only insulate your lofts floor, which is the highest ceiling in your house. With cold loft insulation your attic may not be comfortable enough to be used as an added room. The huge energy savings will still be possible for your house overall, but for significantly less than it would cost to have a warm loft. Air Duct Cleaning West Hills provides a full range of insulation services. We provide insulation removal, installation and maintenance. We can offer the most suitable solution for your home along with expert advice on which measures will suit your budget and requirements. Call us today to find out more.